Justin L Elder D.O. is board certified in the field of Otolaryngology/ Facial Plastic Surgery. With extensive training and expertise in both fields, Dr. Elder is able to provide an unparalleled level of care to his patients. A caring, honest approach, and meticulous attention to detail are used to achieve the highest level of patient satisfaction. 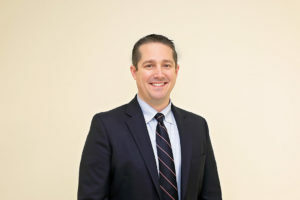 In addition to treating adult and pediatric patients with a variety of ears, nose, throat, head and neck disorders, Dr. Elder is a board certified specialist in facial plastic surgery. Areas of special interest are: Rhinoplasty (nasal surgery) -cosmetic, functional, reconstructive, ethnic, and revision; Surgical Facial Rejuvenation (face lift, neck lift, eye lift, forehead surgery); Otoplasty (ear pinning); Facial Reconstruction, including repair of orbital/facial fractures and defects resulting from skin cancer surgery. Dr. Elder started this growing practice in 2013 and continues to strive to meet our community need. An attentive and caring staff complements Dr. Elder. Beebe Medical Center, Lewes DE. Dr. Elder, (originally from Lebanon PA) and his wife Susan (originally from Ambler PA) now reside in Lewes DE with their 3 daughters. In his spare time, Dr. Elder enjoys spending time with his family, skiing, and restoring vintage autos.